I discussed the value of online reviews in my previous blog post — check it out here: The Importance of Online Reviews: What Your Customers Really Think. I’d like to delve more deeply into the subject to discuss the ways in which a business owner can use reviews in a proactive manner. Since you’re obviously already following the best practices I described in my last post, I won’t go into depth about them here. If you are actively involved in your online presence, it’s likely you have heard of Yelp! If not, see below for an introduction to the variety of tools that are available to business owners. It’s brief and very informative! 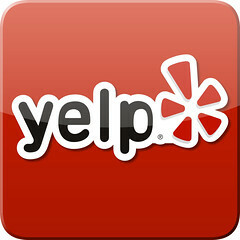 Now that you have been formally introduced to the wonderful world of Yelp! I’d like to talk about using the messaging feature discussed in the video. We will dive a bit deeper into the advantages briefly discussed in step 3 & 4 and 7 & 8. Once you have taken the time to read the comments, decide which Yelpers you wish to reach out to. If there is a trend that you are able to pick up on while reading the reviews, you can bet potential customers will do the same. For example, examining a restaurant’s page with multiple reviews commenting that the ambiance is loud or the service is slow, readers might come to the (quite reasonable) conclusion that your restaurant is, in fact, noisy and badly-staffed. Now you know what you need to address and get to work. There are two different types of messaging options; Send a Private Message or Post a Public Comment. Yelp! allows Biz.Yelp Accounts to contact up to 5 people per day. Use these to either post public comment responding to reviews or send private messages to individual reviewers. Below are the top 3 things you can do on Yelp! 1. Respond Publicly to Negative Reviews – For reviews that speak to issues that may have existed and been corrected since the review was placed. Thank the reviewer for their feedback and inform them of the changes that you or your staff took to address and fix the problem mentioned. Invite the guest back to experience the positive changes first hand. Do this publicly so that everyone that reads the reviews sees an active business owner that is concerned about customers’ experience with them. 2. Respond Privately to Individual Guest Issues – For those reviewers that had issues associated with their individual experience respond via private message. If a guest complained that their meal was cold, send a private message apologizing for the cold food and invite them to come back to have a free sample of your wares. Be mindful that you are not allowed to solicit reviews on Yelp!, though. Obviously you can hope the reviewer has a better second experience and updates their original review; however, you can not directly request that they do so. I recommend that you use the private message feature for this type of complaint. You do not want to give the impression that everyone that goes to your business and makes a complaint will get something for free. 3. Be active – Offer promotions, sales, or information on your Yelp! business page to encourage people to come back on a regular basis. An active business owner will go a long way to create engagement and interaction with their reviewers. These are just some of the main ways to reach out to Yelp! users. The simplest way to think about how to interact with these reviews is how you would respond if they had directed the review in person. How would you respond? What would you say? What would you do? Think about it and respond in the manner you deem appropriate; keep it professional and positive. The tools are free, so why not?